I’m basing this on my scale that does weight, body fat percent and body water percent. I’m also using the Metabolic Effect calculator to track progress. Here is how the page says to interpret. First, I know calculators like this aren’t near perfect. 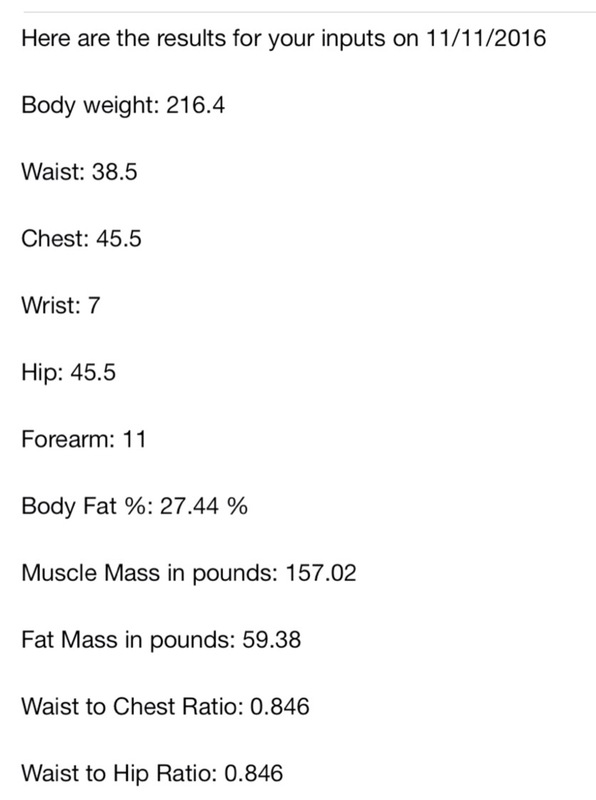 But according to this, I’ve lost 1.43 pounds of fat, and 4.17 pounds of muscle. I’m going to really up my lifting game. Commit to it more. I’m under 220! I genuinely thought when I went low carb in May, I’d be under 200 by now. But my commitment to low-carb is finicky. I’ve also done some experiments with fasting. And I also know when you lose weight while lifting weights, you often lose slower. I’m trying to hang on be patient with myself. Progress is progress. Feedback: This number makes me so sad. But I’m reminding myself of all the struggles over the last five years. I’ve had such a bad five years and felt powerless to stop the weight gain. But the gain has stopped, I feel better, and am working out again. Here goes nothing! Ugh. SO DISCOURAGING! I didn’t realize I was making so little progress these past 6 weeks. Like I said on the measurements page – MORE CARDIO! I’ll keep heavy lifting 3-4 days a week, but really, really, really need to stick to cardio for the fat to drop off. Losing .1 pound of fat in 6 weeks is pretty bad! This means I’ve lost 17.8 pounds. 13.7 of it was in fat, and only 4.1 of lean muscle. 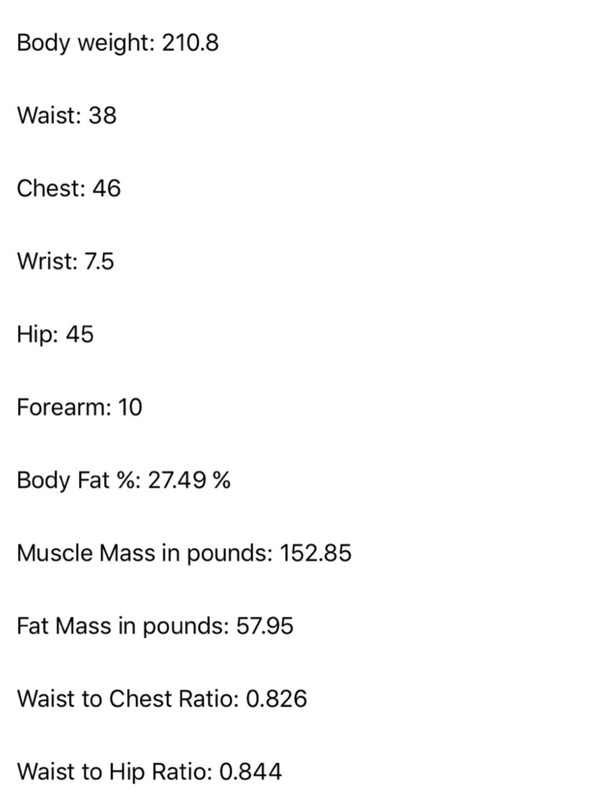 Of course, I’d love to not lose any muscle, but at the same time, I’m using a scale that depends on a lot of strange factors to estimate my body fat percentage. I feel a lot stronger than this time last year, so I feel like I’ve actually gained muscle (not lost 4 pounds of it). Here’s to the next year! So, I’ve lost 13.4 pounds total, but 12.5 pounds of fat, and I’ve only lost 1.7 pounds of lean body mass. 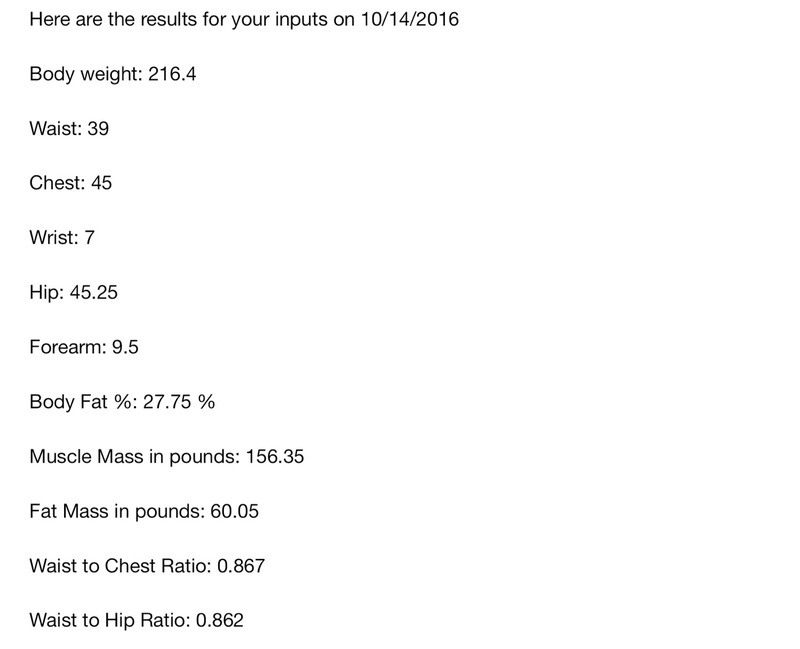 So my lean body mass (which includes muscle) has remained virtually the same, but I’ve lost fat. This means I’m not killing my metabolism or burning off too much muscle. With cardio you burn fat and muscle, so the goal is to build enough muscle to only lose fat. I need to focus more on weight lifting. I did well for part of September, then went on vacation, and lost focus. Back on the wagon! So, I’ve lost 8 pounds total, but over 10 pounds of fat, and I’ve gained 1.6 pounds of lean body mass. So my lean body mass (which includes muscle) has remained the same, but I’ve lost 10.4 pounds of fat. That’s not fantastic for 9 months, but I’m glad to be rid of that 10 pounds of fat! You can do it! I’m here to cheer you on!